POV is television's longest-running showcase for independent non-fiction films. Since 1988, it has presented over 400 films to public television audiences across the country, premiering more than a dozen of the most innovative programs every year on PBS. 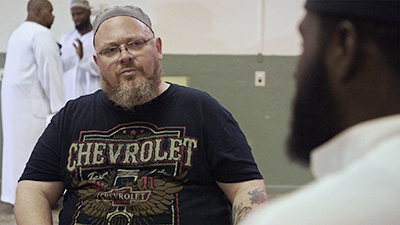 Redneck Muslim tracks the life and work of Shane Atkinson, the first Muslim chaplain in-training at North Carolina’s biggest trauma center and founder of the "Society of Islamic Rednecks." A 45-year old white man from Mississippi, Shane converted to Islam in 1999. 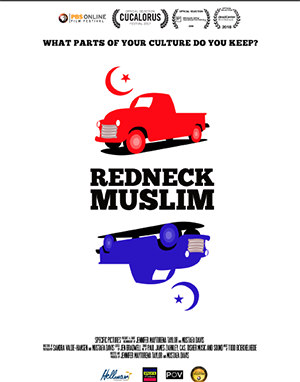 Seeking to celebrate Southern culture with a reformed vision of “redneck” identity--stripped of racism and sexism and embracing diversity--he travels in the film to a gathering of African American Muslim leaders. Taylor said she first came across Shane’s story after making a documentary film called "New Muslim Cool" that POV broadcast in the 2009 season on PBS. Taylor’s work has been screened at such venues as the Sundance, Los Angeles, San Francisco and Locarno Film Festivals, International Documentary Festival Amsterdam, Sundance Channel, Al Jazeera, and NHK-Japan. 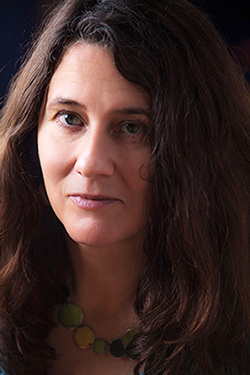 Her films include Message To Zaire/The Talk for PBS, Daisy and Max for Al Jazeera, Visiting Day for The Atlantic, New Muslim Cool for POV, the feature film Paulina, and the Emmy Award-winning Home Front. Mustafa Davis, her co-director for the film, has worked extensively throughout the Middle East, Asia, and Africa as a filmmaker, photographer, and educator. Fluent in Arabic, his directing credits include the films The Warm Heart of Africa, Prison Blues, and Deen Tight. "Over the years several filmmakers have made work that explores hybrid Muslim identities, among them my own 2009 feature documentary New Muslim Cool," Taylor noted. "But this short film also follows how Shane is re-shaping his own white, working-class identity in support of the struggle for racial justice--and I think that is something all white people need to think about right now, regardless of their faith background." As for the film’s subject, Shane Atkinson, he said in a recent Q&A on PBS that he hopes people will learn something from his story.